So, for the past several months, I have been reporting the income of a couple of niche sites that I purchased at the beginning of this year. I'm going to do that again today, but will also be sharing a few highlights from other parts of my business. Let's make these monthly reports a bit more well rounded with what's going on in the rest of my business…okay? 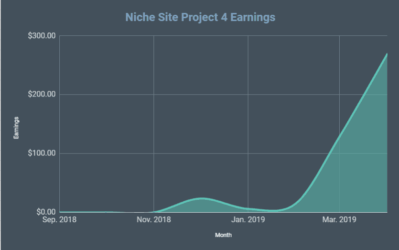 The 2 niche sites that I am reporting on are a very minor part of my business, and to be honest are not sites that I think about almost ever except for when I do these monthly income reports. I suppose that's both good and bad. I could be putting more effort into them, but its also good that I don't have to put much effort in and can still see the returns that I'm experiencing. After sharing the numbers from these case study sites that I bought, I'll share some highlights from the rest of my business including: Long Tail Pro, an authority project, a software development firm, my involvement in Ignite Night Tricities, and more. So, lets just right into the earnings, shall we? I purchased this first site that is monetized primarily with Google Adsense in January of this year for $5,000. 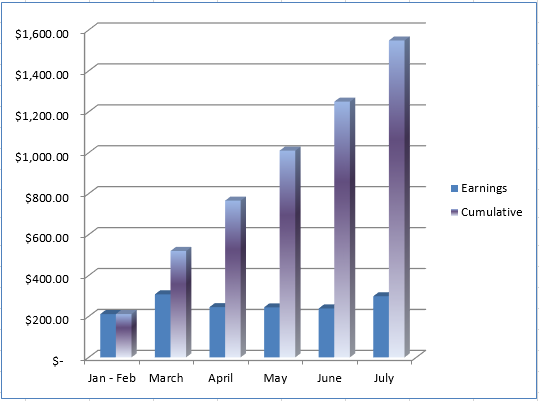 As you can see the traffic and earnings stayed fairly consistent from June to July. But this was after a significant jump in traffic from May. So, the site is doing fantastic, and I'm happy to stay at this higher level of traffic! 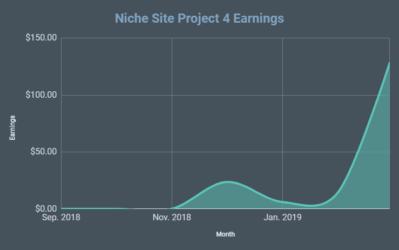 The site was only up $4 in earnings for the month, but you can see that the cumulative earnings overall continue to climb nicely. The site earned a total of: $288.99 from Adsense and $40.85 from Amazon Associates. Again, pretty steady here, but significantly more traffic than what I was experiencing at the beginning of the year. (Due to a nice bump in rankings across the board in mid May). Overall, the site is well on its way to earning me back my initial investment. During the month of July we added 2 new posts, and did not build any links to this site. In total, the site has now earned $1,818.86. Because I paid $5,000 for the site, I'm technically down $3,181.14. However, I could sell the site right now for 20x monthly earnings (on EmpireFlippers.com), which would be $6,596.80. So, my potential profit as of today is actually: $3,415.66. The second site that I am reporting detailed earnings on is a site that I also purchased in January for $2,100. The site gets traffic primarily from Pinterest, and is monetized with Media.net ads mostly (because it was banned from Adsense before I bought it). 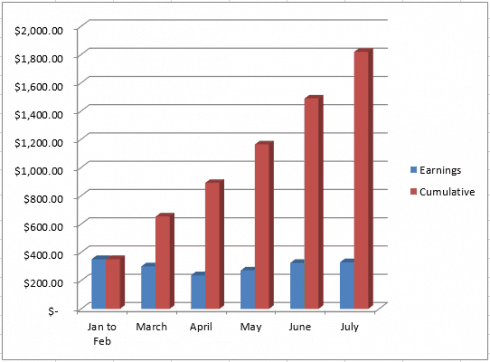 As you can see from this chart, the earnings and traffic were both up quite a bit for July! This wasn't really anything we did, other than fix some minor issues that the site was having. Everything is running smoothly now, so we hope the earnings and traffic continue. I know its only a slight upward blip on this graph, but its a nice reversal from last month after some plugin and other traffic issues. To be honest, I'm happy if the site just remains at this traffic level for the long term. We are no longer adding new content (at least for now) to the site, but the earnings are doing quite nicely as you will see below. So, the site earned a total of $298.96 in July and has earned $1,548.88 since I bought it in January. That's fantastic! Considering that I only spent $2,100 on the site, I've nearly made my entire initial investment back. The site increased in earnings by $59.68 in July from June. That's a whopping 25% increase! Although the site is doing great, technically I'm still in the hole $551.12 ($2,100 – $1,548.88). However, I could sell the site for 20x earnings today for about $5,979. This would net me about $5,428.08. So overall, I'm feeling pretty good about this project! As mentioned, I'm happy to see these sites do well; however, they really are a very minor part of my overall business. I don't spend much time on the sites, and certainly isn't what gets me excited to get up every morning. So, even though I won't be sharing income numbers from all the other aspects of my business, I did want to report on them. These business ventures ARE what get me excited to work each morning, so it only makes sense that I share a bit of progress on them. I'm only going to be very brief in each of these reports, as I simply want to highlight what's happening in my business and inform you where most of my time and energies are spent. Long Tail Pro is the keyword research tool that I created and started selling over 3 years ago. Its been a fantastic business and has helps thousands of people find the right keywords to target for the website projects. I've only given some hints as to what the income is from this business in a report here and another here; and I'm going to keep it that way for the most part. However, I will just say that the business continues to grow and I'm very excited for the future of Long Tail Pro. The number of active platinum subscribers has grown every single month that I started selling the subscription option over a year and a half ago. If you can create a software business that has monthly recurring revenue…I highly recommend it! I will also say that Long Tail Pro had a record month in sales! (If you don't count the one special offer month that I reported on here). The income hit a milestone level that is honestly beyond the level I ever thought I would realistically see when I started selling the software 3 years ago. We are working on some major updates for Long Tail Pro…a version 3.0. 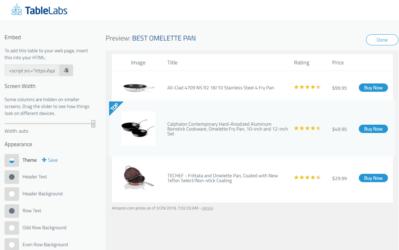 This new version will not only include several upgraded features, but will also have a new look and layout to streamline the keyword research process even more. I hope to release this new version within the next 2 months. Perrin and I are still maintaining and growing other niche sites besides the 2 I reported on here. We are seeing some nice earnings from a few of those; while others are still waiting to have any kind of growth spurt. We are still in the trenches tweaking sites, researching keywords, trying to get sites to rank, and more. I love the process! In addition, I briefly mentioned a larger site I purchased a couple of months ago. This still has done over $2k per month for both June and July. The traffic is trending up, and I may hold onto it a few more months and sell for a nice profit (since I bought it at good multiple). In fact, I actually sold my first site through the EmpireFlippers marketplace in July as well. I sold one of my sites that I had built back in 2010 for just over $4,000. So, that was nice. I'm actually planning on going through lots of my older niche sites and will start selling off several of those as well. We are still working on growing Vylo. If you haven't had a chance to check out and try Vylo, go here. This hasn't been the homerun success we were hoping for…yet. However, its still early on in the business, and we still have a few ideas left to market and sell the product. Perrin and I are working on a massive website that I mentioned in a previous post. This new authority site is going to be where Perrin spends a huge chunk of his time each month. We've hired a dedicated writer and are working through both content and link building strategies now. I don't want to report too much on this site until we actually start seeing some results. But this very well could be something that I blog much more about towards the end of the year. I've been getting much more involved lately with the local startup community here in the Tri-cities; where I live. As a result, I've met some great people that also have an interest in seeing our town have some successful startups. Myself and 2 other individuals are partnering to form the company and will be building web based (mostly) software applications for others on a contract basis. However, we will also be building out our own software products when we don't have other projects. (One of the partners is the developer with some serious skills). I have a software application idea that I was going to hire someone to develop anyway, so now I will just be paying my own software development firm to build it. We will officially “open our doors” in September, but the plans are all in place for this. I'm excited to see what ideas this sparks in the Tri-cities area of Washington. I'll share more details on this in the coming months as well if that's something. As part of my increased involvement in my local business community, I'm helping organize an event called Ignite Tricities. If you have not heard of Ignite Events before, you can check out the Wikipedia page here. Essentially, its an event where several speakers have the opportunity to speak on a topic that they are passionate about (business or otherwise); but only have 5 minutes to do it. The motto is: “Enlighten us, but make it quick!” To ensure this quick format, each speaker must have 20 slides to present, but each slide is advanced after 15 seconds whether they are ready for it or not! As one of the 3 organizers of this new event for the Tri-cities; we are working to get the venue booked, speakers set up, marketing in place, and of course our web presence established. Learn more about Ignite TriCities right here. If any of you can make the event on October 2nd…let me know! Finally, its looking like I may be moving out of my home office and into a more professional space in the next month or so. Again, as a way to support my local community (and to have a quiet work space away from children), I've become involved in a new co-working space in Richland, WA. I have a very minor role in helping to organize and form this new working space and am a shareholder in the new entity. I'll be renting out an office space, one with a door so I can record podcasts as needed. But there will also be other independent workers there to give me a chance to mingle a bit more with local entrepreneurs and freelance employees. Once the space is all completed (we are renovating right now), I'll be sure to post some pictures so you can see my new office! Overall, I hope you found some value in this income and overall business report. These blog posts are good for me to sit back and get a big picture view of what's happening in my business and how it's going. The sites I purchased are doing well, but its very possible that I may be selling them both off before the end of the year. I had a nice taste of what selling a site for 20 times earnings can feel like, when I sold my site for $4k last month..and wouldn't mind some more of that. 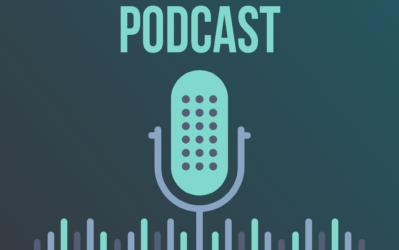 Finally, if any of the highlights from my business that I mentioned in this post sound interesting and is something that you would like an entire post dedicated to, let me know! I'd love to hear your thoughts or questions, so feel free to leave a comment below. How Much Content Should You Be Using on Your Niche Sites? Holy CRAP! Spencer. You are a busy man. I realize this is a pointless comment. But that is all I can say to everything that you have going on. I would be interested on a follow up on the authority site, even if it takes longer to see results, the amount of time and effort you are willing to put in it especially when there are no results would provide some interesting insights. Thanks Ferzy. I did read Billy’s experience of his experience as well. Great job and diversity is the key! 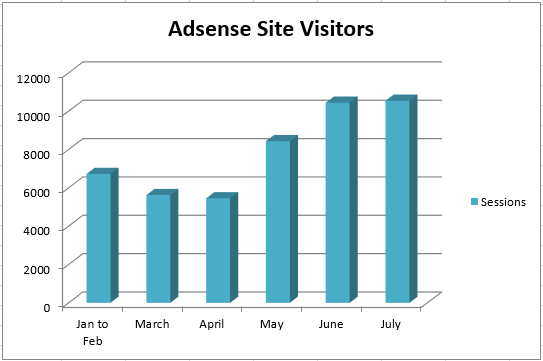 About adsense website. Have you tried to block traffic from certain countries? I think your traffic increased from countries where ads cost less and now it shows only cheap ads on your website. Wow man, can’t believe it’s been 3 years with LTP. Amazing that you are still hitting record months this far along, you really hit a home run with that one and then some lol. Congrats man you deserve, keep on hustling! Thanks Alex, its been a great 3 years for sure. Working online alone sometimes can be lonely. But when you get an office with bunch of like minded people, it makes the experience definitely sweet it seems! All the best for the new ventures. Nice overview Spencer of your current projects and how they develop. I also think it’s a good step to get an office away from home, I also have an office in a co-working space and love the fact that you can interact with other entrepreneurs. This detailed report is fantastic as it is full of wisdom. I really love your entrepreneurial pursuits and am happy for you concerning your successes in life especially in the area of your award winning software for keyword research – Long Tail Pro. Anyway, i will be picking up long tail pro anytime from now in order to do keyword research for some of the niche websites am building and as i am planning to start my own blog very soon as am in the planning stage of the blog. And again, when would your new software company start? What are the kinds of softwares you intend in helping your clients build? I will be more happy to hear from you about some of these progresses as they do serve as motivation for us who are your loyal reader. Thanks Oloyede. We plan to start in September; building web based applications. If you are going to dive deeper into a software development business, then “Lean Marketing for Startups: Agile Product Development, Business Model Design…” book may give you some good ideas how to handle it more efficiently. If you have not read it yet, then it may be a good read just in time for you. I’ve come from enterprise software development field and found this book quite enlightening because it covers important although basic (as it seems me now) principles of business model for software development that targets individuals rather than corporations. Thanks for the book recommendation, I have not read that one yet. Hey Spencer – Great update. You are one busy dude (and Perrin, too). Congrats on LTP! That’s fantastic. I’ve been working in some coworking spaces locally and when I travel. Sometimes it’s really good to get out of the home office — and coffee shops are pretty distracting for me. But coworking spaces are fantastic since other people are getting work done too. I’ll be curious to hear more about the SW company in the future. Thanks Doug! I’m sure I’ll still be working some from home; but look forward to having my own office as well. I’ll keep you posted. Getting an office will boost your productivity for sure! Again an awesome result from you! Congrats on your new Sw business also and I hope you could replicate your success again! Very Nice!! Greetz from Germany! I don’t how you find the time to manage all the projects you have got going on. You must have excellent time management skills you could try personal development niche as well xD I am sure you i’ll do great in it. 🙂 I’m already in too many niches as it is…thanks! I like to read your update, especially about your case study. Really like it so much. Cool to see that you’re getting more involved with the local startup scene in your area. I’m sure many can benefit from your experience. Awesome man! I’m working my up to being as busy as you! I’m still working full time so only have the evenings, late nights, and weekends to work. Thanks for the more detailed monthly report, it’s what I’ve been wanting to see from you. Spencer – you are an inspiration! Keep it up! Is Perrin joining your office too? Glad to see your continued success. I am looking forward to seeing LTP 3. Congrats Spencer. Thanks again for being so transparent. Im sure you know this, but just in case you have’nt herd it….Stick with the contractors and freelancers with iron clad references like you already are doing. Leave the hourly employees alone. Nothing complicates your world more than hourly employees with no sense of ownership, lack of motivation and who are only there to collect a pay check. Also considering you are mingling and networking in a more public environment, beware the fast talkers, time wasters and takers. People who want to be in league with you but front, exaggerate and lie only to get close to your operation and don’t bring anything to the table. You obviously didn’t get where you are by not knowing these things…Lets just say I’m confirming what you already know. Always good to advice to be reminded of…thanks Eric. Waooo… I can’t believe in my eyes. I am studying a lot from you at your site. Can you recommend a link builder or service to help me obtain my first 100 base links? this is an awesome update spencer – it’s really cool to see you expand your business from the online model and get involved with your community. It is a step that I would love to take myself sometime in the future. As for the sites you mentioned selling, Are you going to list those all on empire flippers? I may be interested in one or two of these sites. Yes, my plan was to list them all on EmpireFlippers. Well if you’d like to do a direct sale, I’d love to chat about that. Looking forward to hearing about success from your software development venture! I hired a local developer to create a SaaS App for me back in May 2013. I paid $6750 (50% of the $13,500 quote) for an estimated 5-month long project. The developer decided that keeping my money without doing any of the work was the best route for him. I took him to small claims, won a 100% judgment (he even brought an attorney), and am now in the process of trying to get anything I can back. It amazes me how people can get away with something like this and live day-in-day-out knowing you literally “stole” money from a small business who worked extremely hard to get that money. The unfortunate side is to this day I have yet to get my SaaS App developed because I got hit very hard by that loss and I’ve lost a ton of trust in the development community, just because of one loser. I know what I will do different next time to protect myself, but I look forward to hearing about your success stories and how you are able to help folks get their ideas off the ground. Sorry to hear about your bad experience with a developer…really sad that there are people like that out there. Hope things turn around for you. It is awesome to see how you have turned just a couple niche sites into a ton of different income streams and business ventures. Good luck with the new company! Thank you for sharing with all of us. It’s been inspiring to say the least. I think the key words here are “Diversification” meaning don’t put all your eggs in a basket, and “Excitement” in doing what you do. You inspire me !! Thanks Spencer. Looking forward to the next post . Congrats Spencer, def a big move to add some more projects. Would be interesting to know more (maybe i missed that post?) about how you manage to organize yourself between all projects. I remember your post about passive and residual income where you describe your daily routine, but as far as i remember, this is more on a personal level. One of my weakness has always been to manage them all, prioritise. How do YOU deal with that? And would be interested in some of the sites you’ll be looking to sell. Planning to “offer” your readers a chance to purchase as well or 100% via EmpireFlippers? Yep, I’ll have to do another post on management between projects. I’m not looking to sell on my own site, although perhaps I should consider that. Great to see such diversification of income. Your software projects I think will yield BIG dividends in the future. I visited your Vylo site and was just on some web based gaming sites. I’m sure these would be great areas for you to promote your Vylo brand. There are thousands of them out there including Facebook Games on Canvas, Unity web based games, etc. Don’t give up on that project. I think you just have to get in front of that crowd some how. Continued success to you and Perin! You are doing very well Spencer! And not just that, you are a busy Man! And I’m definitely looking forward to reading your new posts! Tip for the office space – Working at home has its advantages but we can understand why you want your own office. Try to find one that has a commute that can be done by pushbike it will keep you fit and less stressed then if you did it by car. Being a share holder in the co-working space also sound exciting we have quite a few here in Chiang Mai, Thailand as it’s the center of the blogging world for Southeast Asia, if you ever over in this part of the world we be happy to show you around! Good luck in everything your doing. Thanks Martin! I expect that I’ll still work from home some of the time, and in the office when I need to. Should provide better flexibility. And if I ever make it to Thailand…I’ll let you know! Spencer I religiously follow your blog keep up the good work! Yea David, Even me. The site is full of great resources. I cant do without opening it everyday to see if there are new posts. Spencer, I almost gave up on building websites last year but reading your realistic approach to making money online, I realized I had to give it another chance and treat the endeavor as a proper business rather than a get-rich-quick scheme. You inspire a lot of us and keep us grounded. Congratulations on your successful projects! It sounds like you’re doing really well. Your Opinion is seconded by me. Hope spencer is reading this. I was wondering if you’d formed a view yet on the google announcement, on the impact of https on search results. 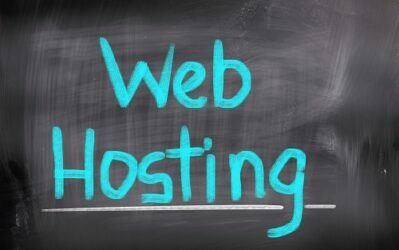 Have a few sites, and was taken aback by this – it’ll cost to secure them all. Love the site BTW. Been a regular visitor for about a year now. I have a question about adsense site earning though: I have got 2 adsense sites, one of them has about 6500 sessions in a month while the other has 2500 sessions. However I am making no where near $200 a month! My combine earning last month was $40 all coming from adsense. I am not sure what I am doing wrong. What would you in this case? Spencer, keep killing it man. I’m really working hard to bring my online income to the next level and posts like this are always give me a good bit of motivation to get the job done. Also looking forward to Long Tail Pro 3. I’m using LTP now to really work on laser targeting keywords and moving on up in Google. It’s always fun to watch my rankings climb in your Rank Checker too. I can see that earning is almost stable but the good thing is they are making money every month. Hope you are working on them to increase the earning so that you can flip them in better price. Thanks for sharing this awesome report. Funny you mentioned media.net ads. I got a site with duplicate content so I didnt want to risk my adsense account on it. Do you know if media ads are picky about that stuff? Or even care? You do have to get each site approved on Media.net (unlike Adsense that just approves your first site then lets you add all your others). So, I’ve had some approved and some not. I say give it a shot and see what happens. 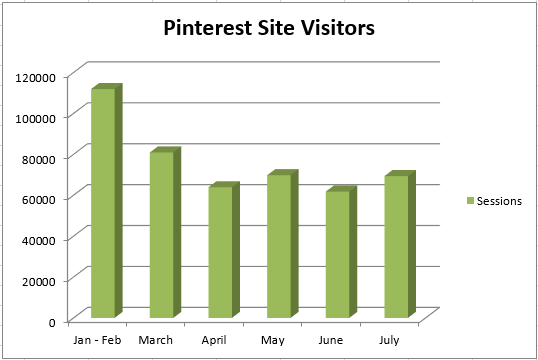 It’s encouraging to see that Pinterest can be such a good source of traffic for one of the niche sites you purchased earlier in the year. Plus it is good to see that an Adsense alternative has worked on this site. I agree with Kevin; it would be great to see a post on your daily work schedule Spencer. I think a daily routine, or lack of same, is one of the biggest hurdles facing bloggers and affiliates. Thanks for yet another inspiring post. I live right over the bridge in Pasco 😛 The world really is small, I guess I should’ve read your “about me” page thoroughly. I have to tell you Spencer, this site you have is incredible. I am a teacher of internet marketing to high school students. We spent some time looking at the different projects that you were kind enough to share with the world. I am an old affiliate marketer myself. (6 years now…which is a lifetime in this business) My students are pumped to try this as a class for which I approved. It is nice to be able to use my own experience coupled with yours to help mold future internet marketers the right way. To many people look for the quick money and then are turned off after they have horrible results. You are spot on with making sure you have proper unique content to last the test of Google time. Thanks and we all look forward to reading more of your updates. Hi Spencer, I haven’t visited your site recently so was not aware of your involvement in the local community, congrats! I see the Ignite event was moved to January. Hopefully, I’ll be able to attend. Thanks Michelle. Yes, we move it back due to some unforeseen events…hope you can make it!